Would you like to build your own airplane in less than 2 hours? Do you enjoy 3D wooden puzzles as much as we do? 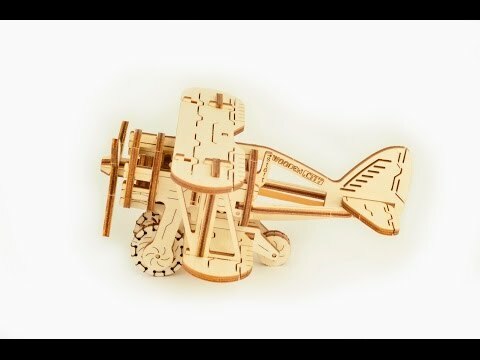 Get our Wooden.City BIPLANE model and give it a try as an constructor of airplanes! Make your own mechanism with one of a kind self-propelled rubber band engine with adjustable acceleration.